Today’s ornament in my 12 Days of Handmade Ornaments series is very special to me. It may not look like anything great, but to me it means a lot. The title on the photo should give you an idea as to why. The only time I ever saw him waver from this uniform, was when he had to get dressed up for special occasions. For those, he had a brown suit that he would wear. 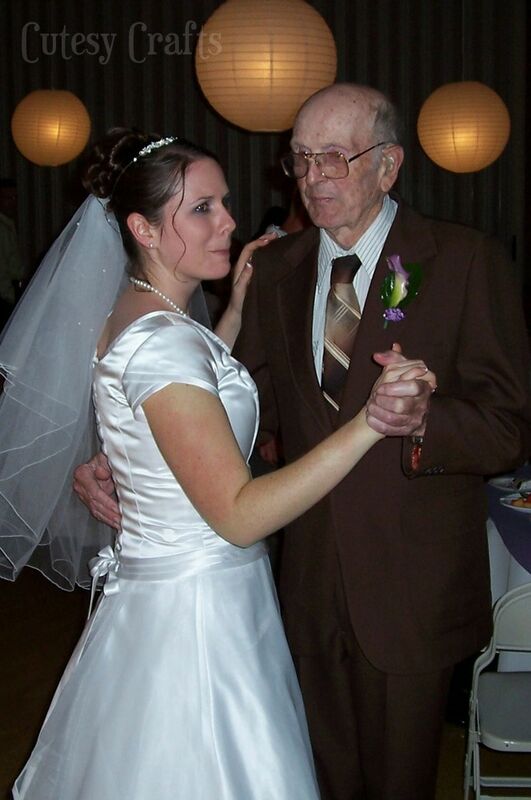 This is him dancing with me at my wedding. Those suit pockets are filled with the programs from pretty much every funeral he’d ever been to. Haha! Please excuse the weird look on my face. I was touched that he got up to dance with me… apparently this is my “touched” face. 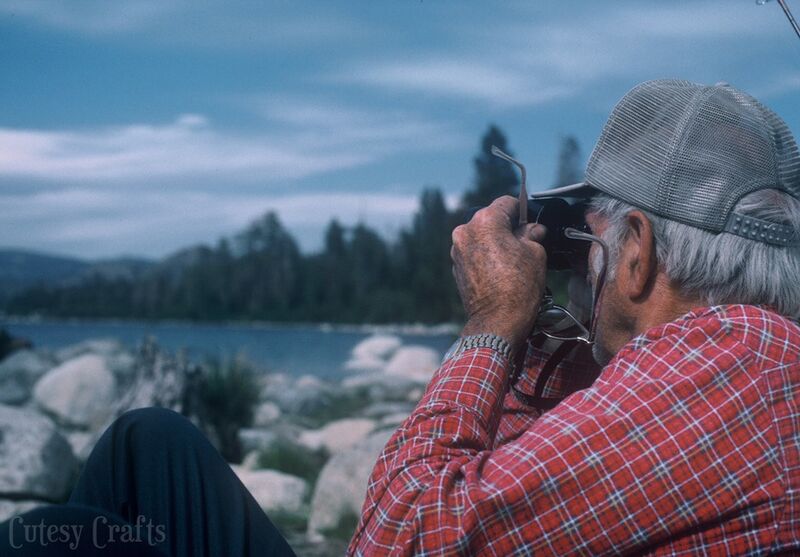 Papa was an avid bird watcher and almost never left the house without his trusty binoculars. 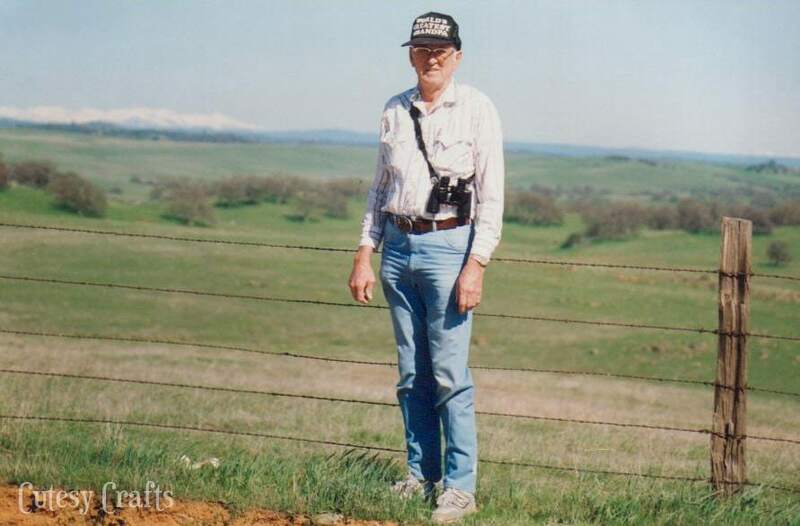 I remember countless times being in the car with him and having to pull over so he could stop and look at birds. Thanks to him, I now know how to identify several local birds. Every time I see a bird, I think of him. He passed away about five years ago, and my mom still has a few of his old clothes. I asked if I could have a shirt and a pair of pants to make something special for Christmas. To me, Christmas is a time of reflecting on the past and making family traditions. 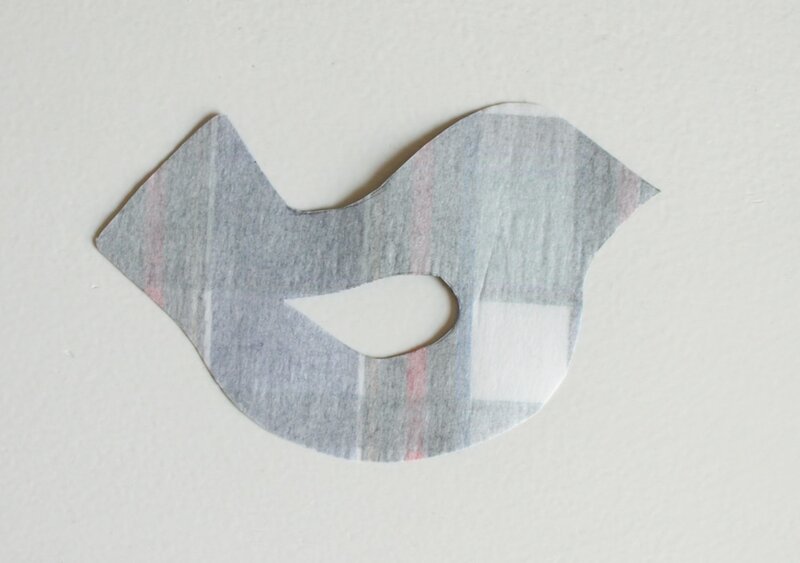 This Christmas, I’m making one of these little bird ornaments for everyone in my family. I am making birds, for obvious reasons, but you can make whatever you like. A heart, a cat, a car, or even just a circle. 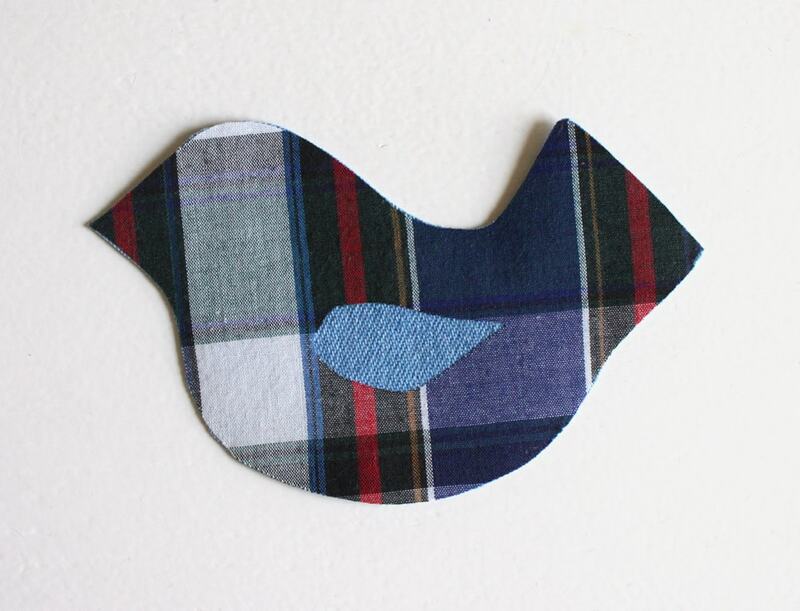 If you want to make a bird, you can use my pattern here. 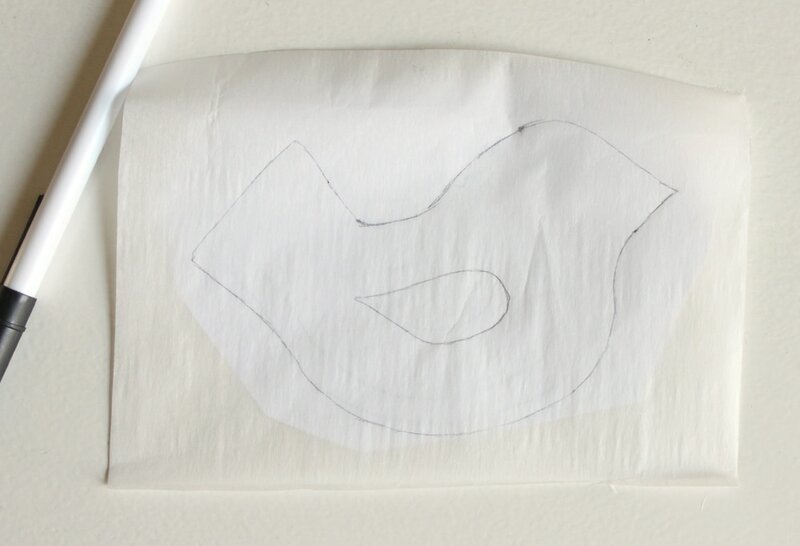 Trace the pattern onto the paper side of some fusible interfacing (I used Wonder Under, Pellon 805). 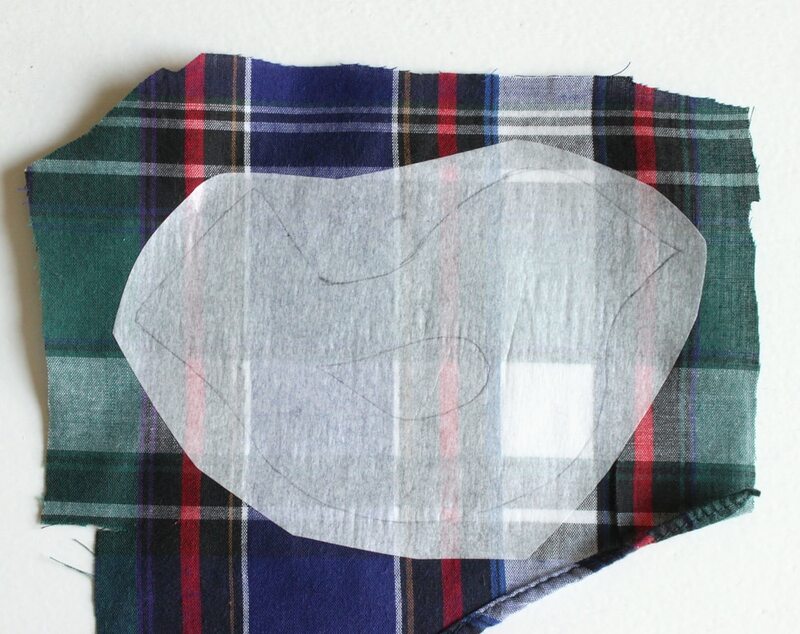 The interfacing keeps the fabric from fraying around the cut out wing. Iron the Wonder Under (webbing side down) onto the back of the fabric. This is fabric from my grandpa’s shirt. 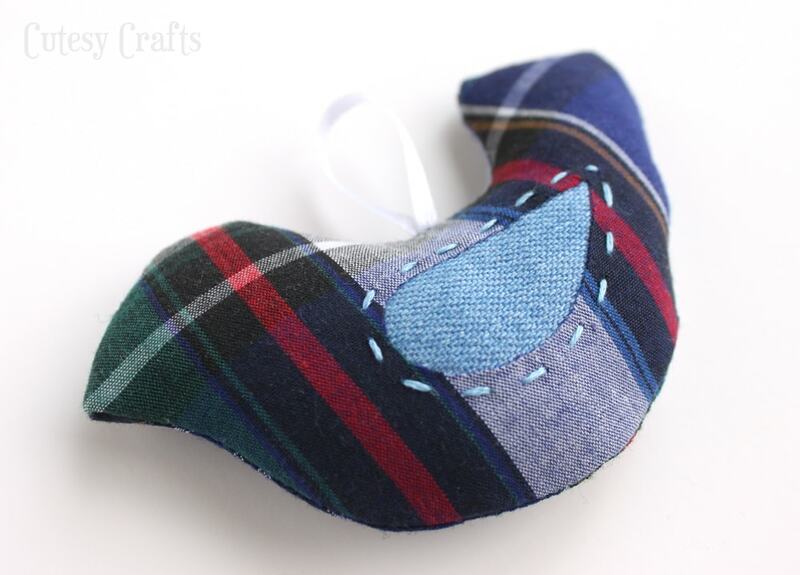 Iron the bird onto the front of another piece of fabric. This is fabric from my grandpa’s jeans. 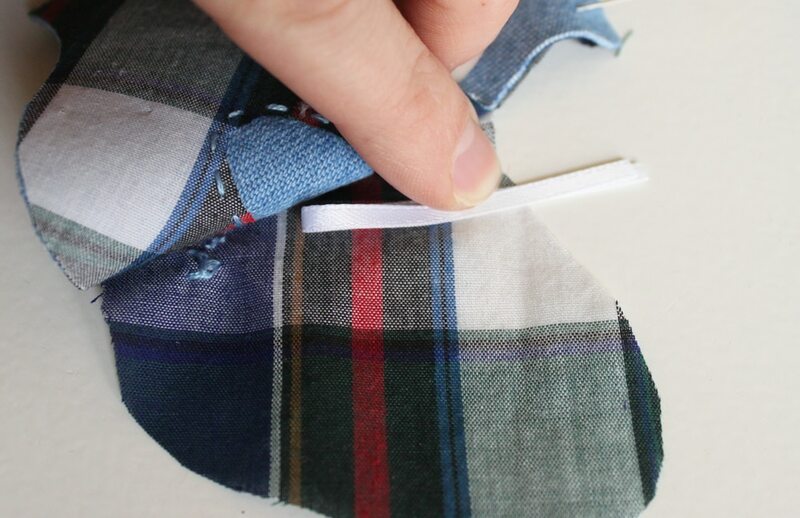 Cut off the excess of the second fabric so you have your bird again. 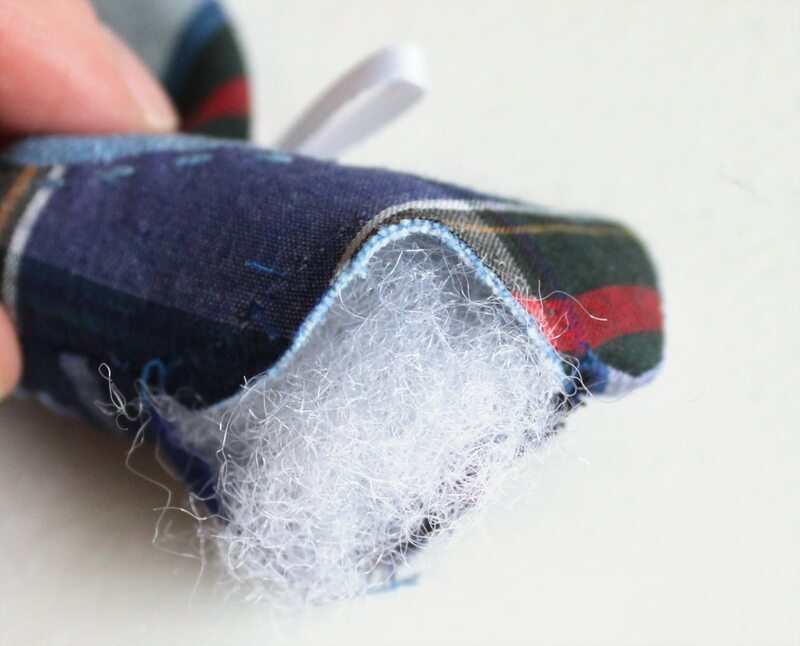 Using three strands of embroidery floss, make a running stitch around the wing. Cut a second bird out of the first fabric. 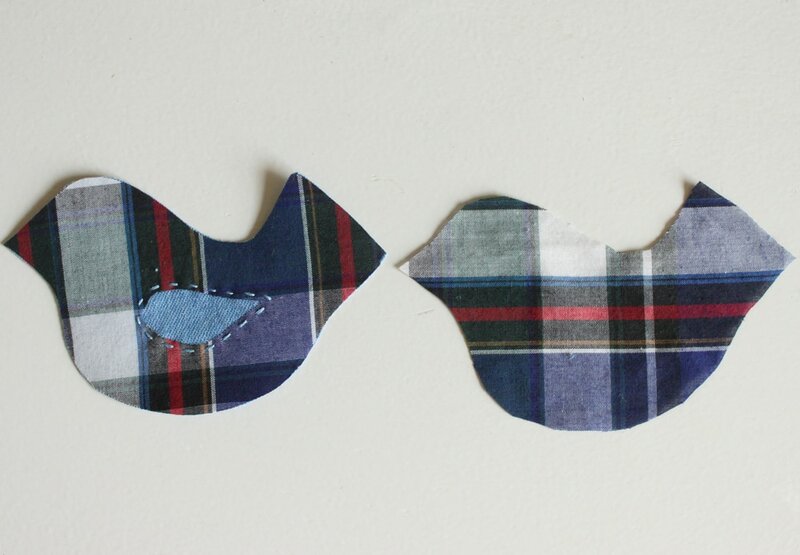 Pin the two birds right sides together and add a little loop of ribbon for hanging. You want the loop to go inside the bird like in the picture. 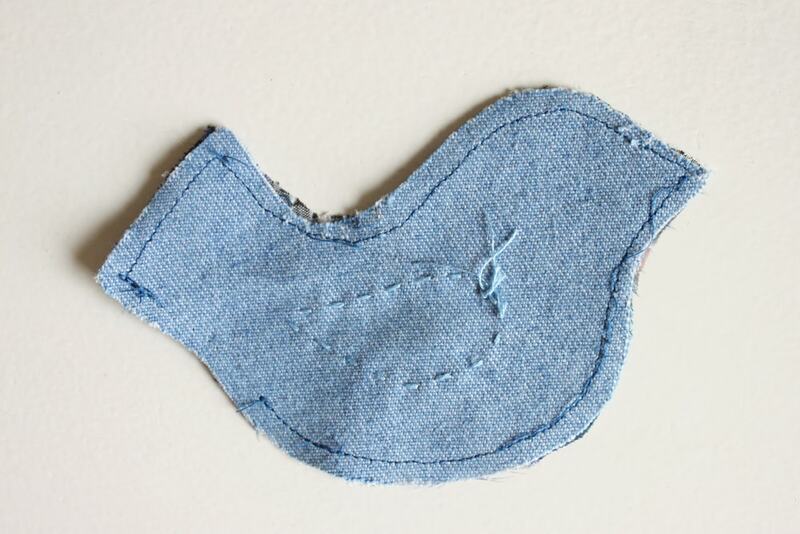 Sew a 1/4 inch seam around the bird, leaving a small opening on the bottom. Turn the bird right-side-out and iron it flat. 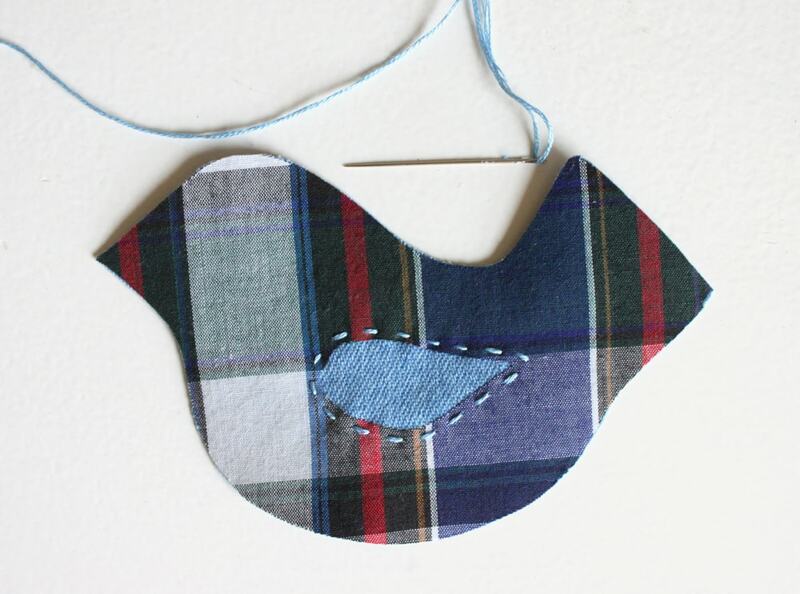 Fill the bird with stuffing and hand stitch the opening closed. A little piece of grandpa to remember him at Christmas. Now that I’ve thoroughly depressed everyone for the day, make sure to go back to the first post in this series to enter the giveaway! I’ll be announcing winners in just a few more days. Aw, how incredibly special! That is such a lovely way to remember your Papa at Christmas time. I know your family will treasure those ornaments. This had me tearing up. What a great keepsake this will be for your family. My father always wore flannel shirts. Wish I had kept one of his shirts and thought of this, Thank you so much for sharing this!!! Thanks for coming to my blog to check it out. I’m glad that you like it! My Dad died this year and I have some of his flannel pajamas. I know my Grandkids will LOVE these…. Oh, aren’t you glad you kept them now? So glad you will be using this idea! Hey! I’m making a few of these for my family (it is our first Christmas without my grandpa). I have a couple of plaid shirts, most of which I still wear, that are his. I plan on making hearts out of one of them, and I was wondering if it was okay if I posted on my craft blog (which is still in its early stages) about this craft. I of course would credit it back to you, but just wanted to make sure that was alright! Thank you for this amazing craft, I can’t wait to get started. Hi Meg. Yes, feel free to post it on your blog! So glad you are using this idea! I would love to see it, so come back and leave a link. I tried to click your name to see your blog, but it said your profile was unavailable. I’ll have to figure out how to fix that! It’s still really rough around the edges but this is the link: http://countrycollegecrafter.blogspot.com/. I’m running to the craft store in the morning (Its currently my happy place), so I will probably take a crack at them tomorrow night. I’m handsewing, since I’m in a college apartment and my sewing machine isn’t on hand. Thank you so much! I’ll make sure to let you know how it goes! The bird is so cute!Thanks for tutorial! Thanks Emily! I hope they do! This is such a sweet idea. The sentiment alone is so great, but to turn someone’s clothing into a beautiful ornament is even more special. Thanks Katie! So glad you like it! This was such a sweet post, and the bird is so perfect given that your “Papa” loved birds. How cool that you are making them for everyone in your family. They are really neat ornaments. (I’d like to try making one sometime.) This really inspires me, because I have many of my late husband’s favorite shirts (also called Papa by his grandchildren) and my goal is to eventually make quilts out of them for my two grandchildren. I just took my first quilt class to prepare for this task. Anyway, I was so touched by your love for your grandfather. He must have been a very special man to garner such love. Thank you for sharing. Aw, you are making me tear up again! Making a quilts was my mom’s plan too. Lucky for me, she let me use some of the clothes for this project. Thanks for the comment. What a beautiful way to honor your grandpa! I know everyone in the family will love them– so special! Thanks so much for sharing at Get Your DIY On! 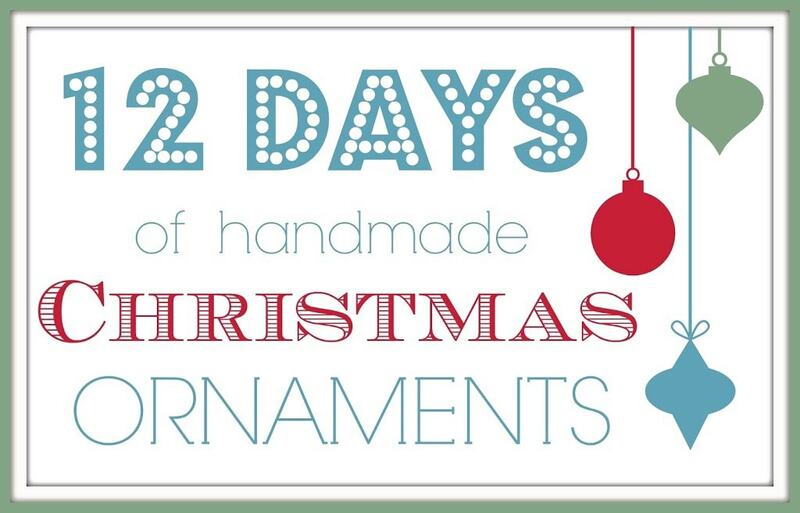 Hope to see you on Sunday at 7 EST to link up your handmade gifts! This ornament would be the first one I would put on the tree. It just reminds me of the lost opportunities that I’ve had regarding family members and friends. This is a perfect way to commemorate our loved ones, and keep their wonderful energy in our holiday spirit. Nice work, and great idea. Love the back story also, it just rings with the love you felt for Papa. What a wonderful thing to do! So perfect to make a keepsake to remember a much loved grandad, knowing it will be on the tree every year. You have brought a tear to my eye and given me an idea. Thank you. Just came across this, and am sitting here in tears. 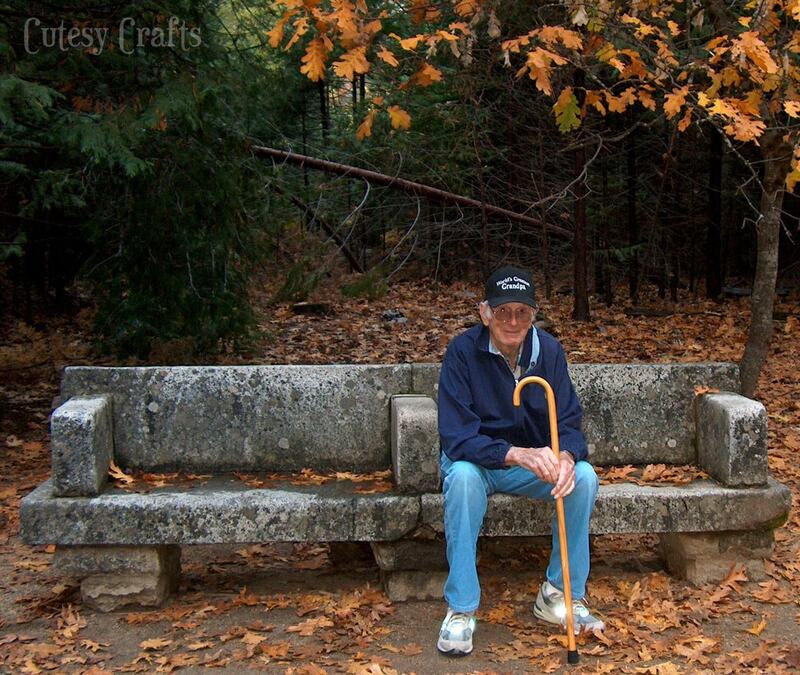 Such a sweet story and way to remember your grandfather! Mine has been gone for 10 years now, and my dad died this year. I have clothes from both, and will be making ornaments from them. Thank you so much for the idea. I was wondering if you could tell me where I could possibly find someone to make these amazing ornaments for my family. I am not a crafty person and I do not want to ruin such a beautiful way to remember our gma. What an amazingly beautiful idea! I think I’m going to attempt to learn to sew so I can give this gift to my family in honor of my Nanny this Christmas. Thank you for sharing!! Thank you for this tutorial. I recently lost my mother and something like this would be wonderful for all the family. My neighbor asked me to make a memory pillow for her son out of her dad’s shirt. While I was doing some searches on them, I came across this post. Thank you so much for this great idea! I made an ornament for both of her kids out of the extra fabric from the shirt. They turned out so nicely. It’s been a lot of fun to do this for my friend and her family. So glad you were able to use the idea! I love the idea of a memory pillow as well. Such a wonderful memory you shared Jessica. As my father in law who was 98 yrs old just passed, I was asked to make a dozen memory pillows and saw your idea of the ornament and will be using the extra material for those as a special surprise. Thanks Deidra! Oh, that will be a wonderful surprise! Did you just free hand the bird or have something to make your pattern off of? 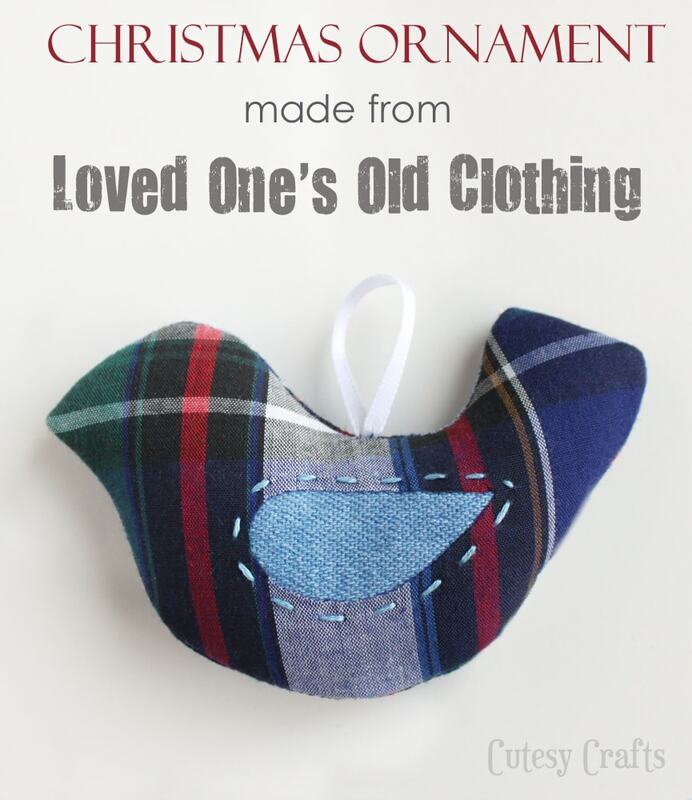 There is a link to the free pattern just above the first photo of the ornament. Let me know if you can’t get it, and I can send it to you. Got it!! Thank you so much! After my father passed in 1998, my mom allowed each of us children and grandchildren to pick out a favorite shirt of his. They all then gave them to me and for our first Christmas without him…everyone received a teddy bear I made from the fabric. A total of 30-some bears. My children were very young at the time …I don’t know where I found the energy or time to do such a project but the Lord provided. In 2013, I lost both my mom and 4 months later my 20 year-old daughter. My heart is still too broken to even consider making even one bear…but a small heart ornament…perhaps that might actually be possible. I might also be able to make them for those that loved them so. Thank you for the inspiration. I’m so sorry to hear about your losses! I can’t imagine how hard that must be. What a special gift to make teddy bears out of your father’s clothing. I’m glad you found some inspiration for ornaments here. I treasure my “Papa” ornament and love the reminder that it gives me of him each Christmas. Hugs to you and your family. I love that you represented your grandpa twice – once with the shirt and again with the bird. 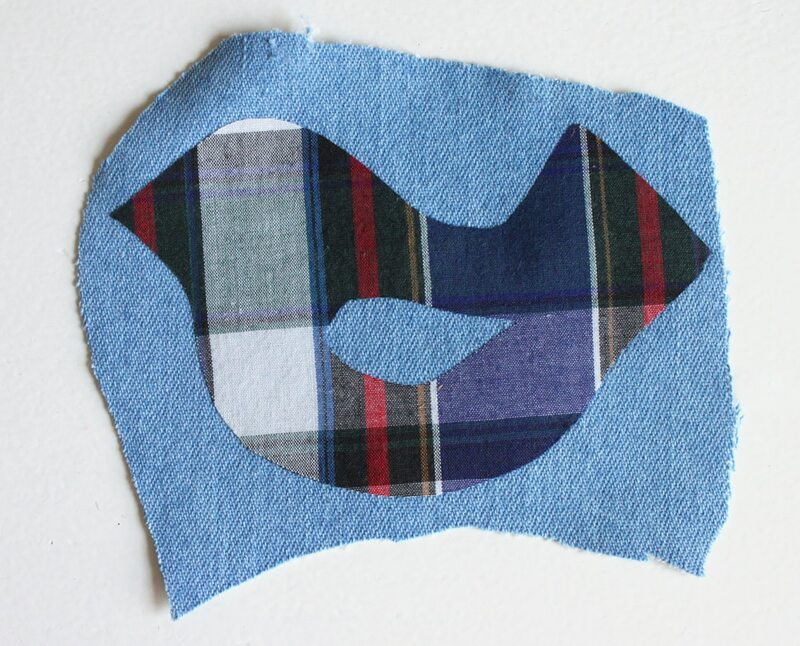 For those that aren’t as crafty, my sister did something similar with my dad’s flannel shirt the year he died (2009). She covered small wood frames from the craft store, and then found a photo of each of us with dad to out in the frame. That in itself was no small task as my mom hadn’t put a photo in an album since 1972! I love the photo idea! That must be so special to everyone, and it’s something they can display all year long! Thank you for sharing. I have been saving this idea on Pinterest, and now sadly but sweetly, will be putting it to use as my own dear grandpa passed away. I had to smile, albeit through some tears, while reading through your post, as my gramps had a similar “uniform” right down to the button-up shirts, new balances shoes, and these dark blue Dickies work pants rather than jeans. He also shared his love of birds with us. I started with some no-sew fabric ornaments using a couple favorites shirts of his in 3 inch embroidery hoops with ribbon hanging loops/bows. But I can’t wait to see how the bird pattern turns out! My parents and siblings have asked me to make several. Thanks for inspiring me to preserve some memories in a tangible way! So sorry for the loss of your grandpa. Reading your comment is bringing back some emotions for me as well. I love that they both had similar “uniforms.” Sounds like they would have been friends. 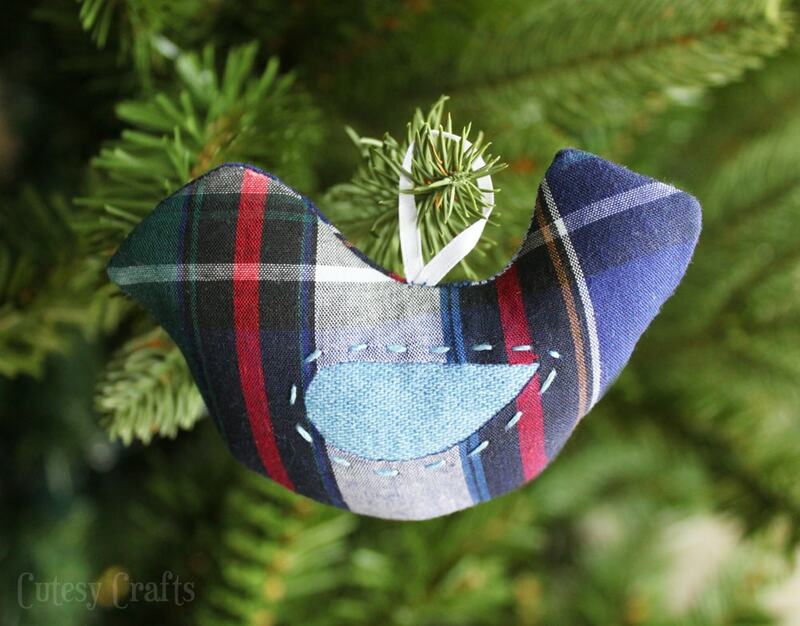 <3 I'm so glad that you are able to use my pattern to make ornaments for your family. My family treasures theirs, and my cousin even got married with his in his pocket. 🙂 Condolences to your family during this hard time. I love this idea! I’d like to do something similar with a cat and my dad’s military uniform. Can you suggest where to find a pattern of a cat? Thank you! I would suggest searching “cat outline” or “cat template” online. 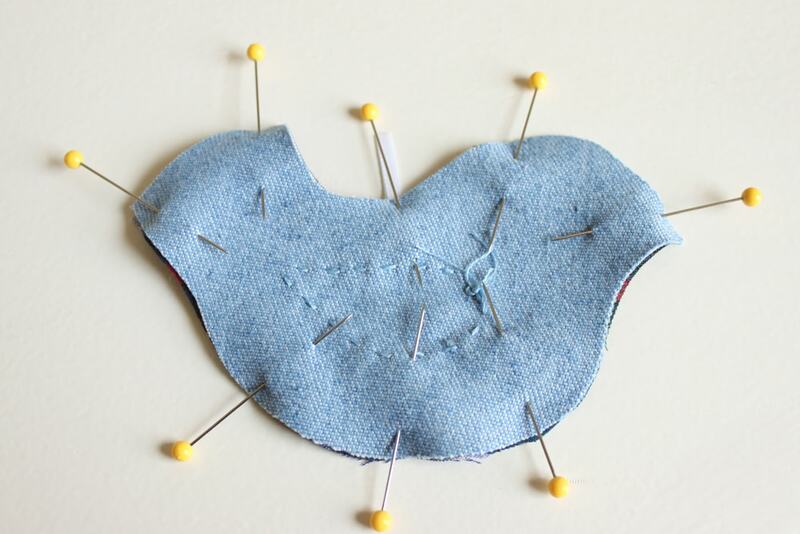 Print it out and trace a seam allowance around the outside of the cat. 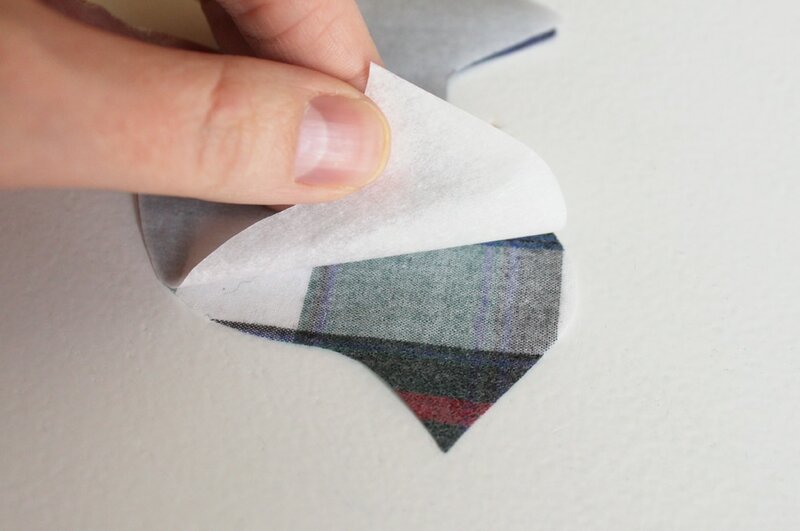 Make sure you try it on a scrap piece of fabric first. So sorry for your loss. 🙁 Such a hard thing, especially this time of year. My condolences to you and your family. I’m glad you are able to use my idea to make something special.